Old Mutual is about to say goodbye to another U.S. business. Yesterday the British and South African bank revealed a deal to sell Burlington, Vermont-based institutional fixed income asset manager Dwight to giant, publicly-traded, New York City-based investment bank Goldman Sachs [profile] for an undisclosed sum. Goldman also revealed the deal for the $42-billion asset manager. Bloomberg Pensions & Investments and Reuters all reported on the deal. Reports first emerged in the fall that Old Mutual had hired Morgan Stanley to find a buyer for a Dwight, which specializes in a niche fixed income asset class, stable value, for use in 401(k)s and other institutional retirement plans [see MFWire.com, 10/3/2011]. Then, First Eagle took over the Dwight sub-advised Old Mutual High Yield Fund and hired away from Dwight the fund's two co-PMs [see MFWire.com, 10/18/2011]. The sale of Dwight, which is expected to close next quarter, will help �free up capital to redeploy into our global distribution and asset management franchise,� Peter Bain, the chief executive officer of Old Mutual Asset Management, said in today�s statement picked up by Bloomberg Businessweek. 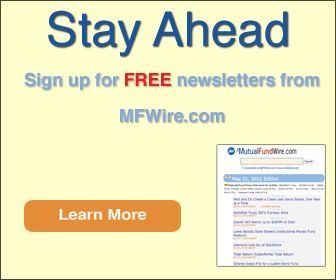 Old Mutual already sold a lineup of 17 mutual funds to Touchstone [see MFWire.com, 10/4/2011 and 11/3/2011], and Old Mutual's planned IPO of the rest of its U.S. asset management business "may not happen by the end of 2012" [see MFWire.com, 8/11/2011]. Old Mutual plc today announces that its asset management business, Old Mutual Asset Management (OMAM), has sold Dwight Asset Management (Dwight) to Goldman Sachs Asset Management (GSAM). Subject to certain conditions, Dwight is expected to become a wholly-owned subsidiary of GSAM in the second quarter of 2012. Dwight, an affiliate of OMAM, provides fixed income investment management services for institutional clients including retirement plans, corporations, public funds, insurance companies, financial institutions, endowments, foundations, and Taft-Hartley plans. Dwight had unaudited gross assets of $22.2 million at 31 December 2011 and Assets Under Management of $33.2 billion as at 30 September 2011. Peter L. Bain, OMAM's Chief Executive Officer, said: "For OMAM, the transaction will free up capital to redeploy into our global distribution and asset management franchise. We remain committed to building our multi-boutique business around long-term, institutionally-driven, active asset management." Old Mutual is an international long-term savings, protection and investment Group. Originating in South Africa in 1845, the Group provides life assurance, asset management, banking and general insurance to more than 15 million customers in Europe, the Americas, Africa and Asia. Old Mutual is listed on the London Stock Exchange and the Johannesburg Stock Exchange, among others. In the year ended 31 December 2010, the Group reported adjusted operating profit before tax of �1.5 billion (on an IFRS basis) and had �309 billion of funds under management from core operations, and shareholders' equity of �9.0 billion. NEW YORK, February 7, 2012 � Goldman Sachs Asset Management (�GSAM�) announced today that it will acquire Dwight Asset Management (�Dwight�), a Vermont-based stable value money manager, from Old Mutual Asset Management (�OMAM�). The transaction represents a significant step in GSAM�s efforts to establish a leading position in the defined contribution (�DC�) investment-only business while reinforcing the importance of stable value as an investment option. Over the past several years, GSAM has grown its DC business with the goal of delivering its defined benefit investing expertise to DC plan participants. Dwight is a pioneer in the $540 billion stable value market 1and among the top providers in the DC investment-only business. Combining Dwight�s expertise in innovative stable value solutions and custom-wrap contracts with GSAM�s strengths in fixed income and risk management, represents a formidable offering for DC plan participants. "For OMAM, the transaction will free up capital to redeploy into our global distribution and asset management franchise,� said Peter L. Bain, OMAM's Chief Executive Officer. �We remain committed to building our multi-boutique business around long-term, institutionally-driven, active asset management." Subject to certain conditions, Dwight is expected to become a part of GSAM in the second quarter of 2012. Dwight Asset Management Company LLC, an affiliate of Old Mutual Asset Management, provides fixed income investment management services for institutional clients including retirement plans, corporations, public funds, insurance companies, financial institutions, endowments, foundations, and Taft-Hartley plans. Dwight manages and advises for approximately $42 billion as of December 31, 2011. 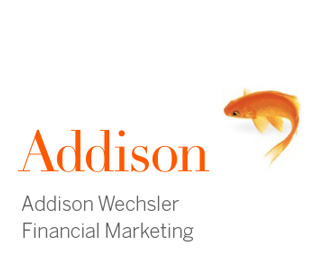 Headquartered in Burlington, Vermont Dwight has been helping investors reach their retirement goals since 1983. Old Mutual Asset Management (OMAM) is a global multi-boutique investment organization, managing and growing a diverse portfolio of asset managers that serve institutional and individual investors around the world. The assets under management of OMAM's 17 affiliated investment firms were $224 billion as of September 30, 2011. OMAM is the name through which Old Mutual (US) Holdings Inc. conducts its U.S. asset management business. Its parent company is London-based Old Mutual plc. More information on OMAM, its member firms, and their investment teams and strategies, is available at www.oldmutualus.com. Goldman Sachs Asset Management is the asset management arm of The Goldman Sachs Group, Inc. (NYSE: GS), which manages $828 billion as of December 31, 2011. Goldman Sachs Asset Management has been providing discretionary investment advisory services since 1988 and has investment professionals in all major financial centers around the world. The company offers investment strategies across a broad range of asset classes to institutional and individual clients globally. Founded in 1869, Goldman Sachs is a leading global investment banking, securities and investment management firm that provides a wide range of financial services to a substantial and diversified client base that includes corporations, financial institutions, governments and high-net-worth individuals.